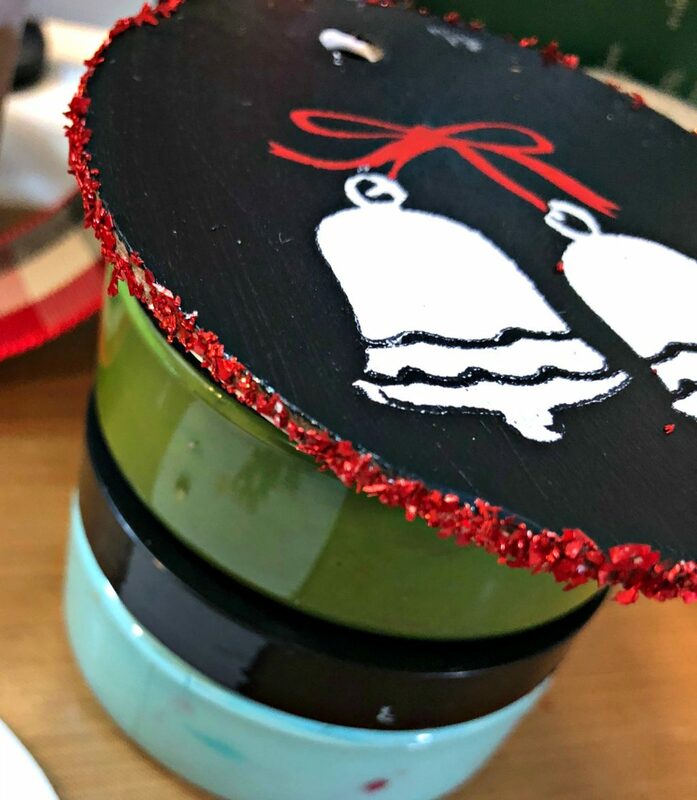 I combined two of my favorite crafting tools, the Cricut Maker and Chalk Couture and made these pretty Christmas ornaments. I have cut Heavy Cricut Chipboard recently and made this pumpkin and this leaf garland and I loved how they turned out so much that I had to do it again! 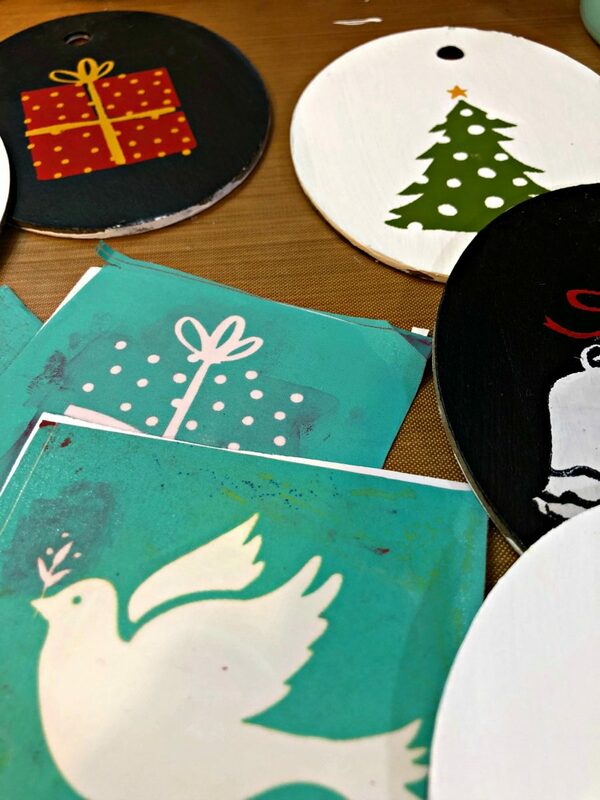 The Cricut Maker does such a fabulous job of cutting the thick chipboard. 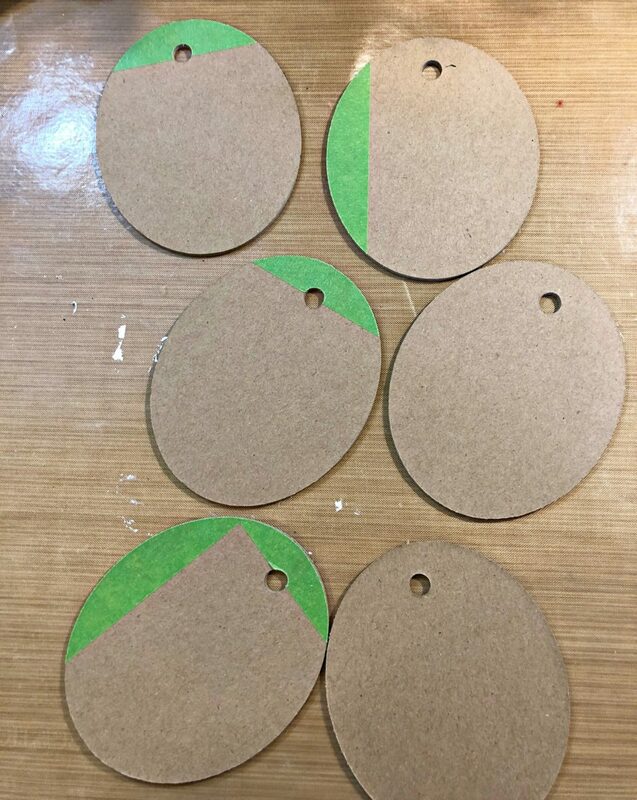 After taping the heavy chipboard to a strong grip cutting mat, I cut out six oval tags that I found in Cricut Design Space. 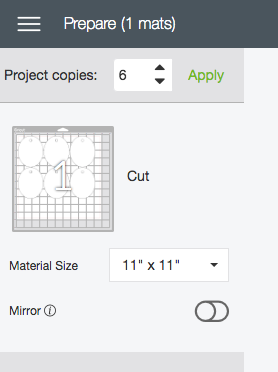 Don’t worry about the tape, the Cricut Maker cuts right through it and you can remove it when the cutting is done. 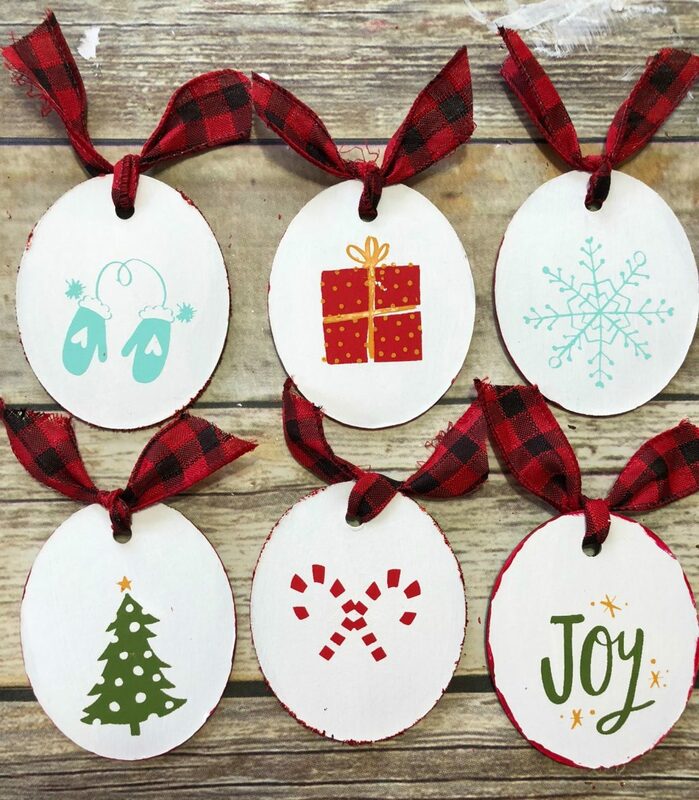 See complete step-by-step instructions on cutting chipboard with the Cricut Knife Blade and Cricut Maker here. 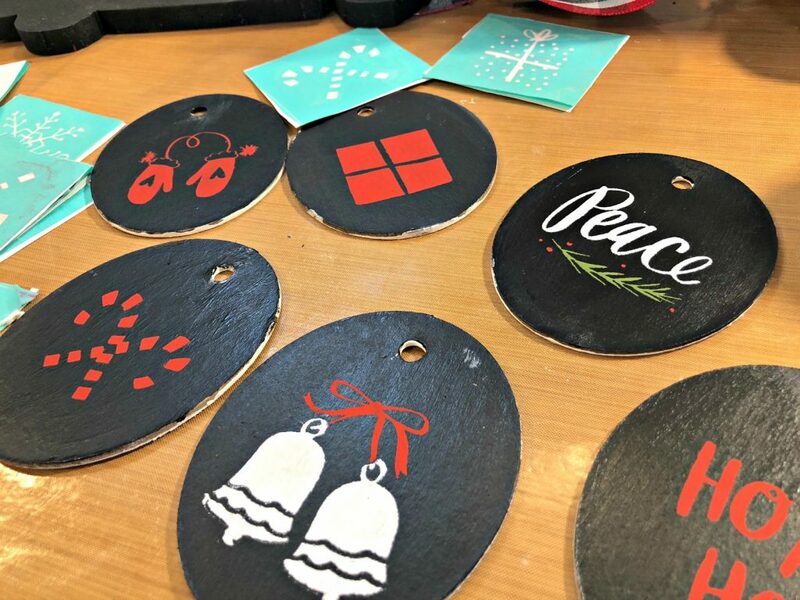 After the chipboard ornaments were cut, I painted them with acrylic paint. White on one side and black on the other side. 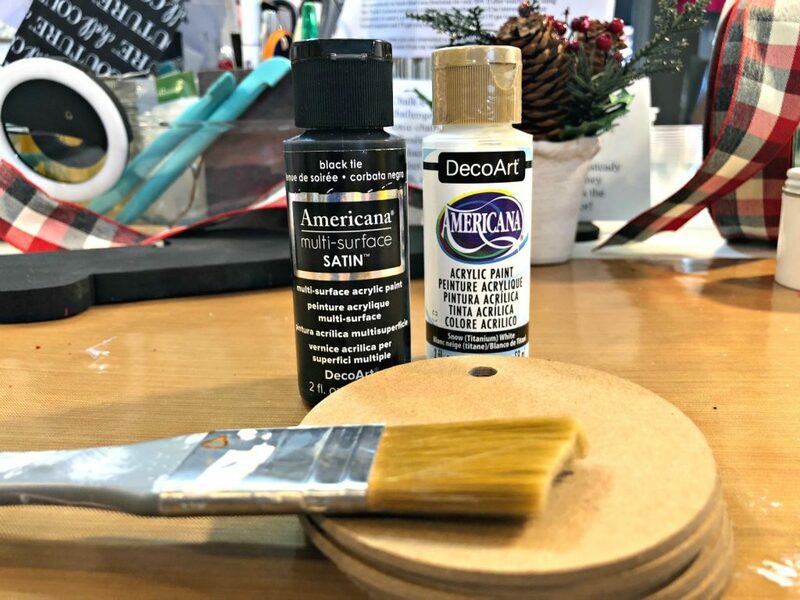 I used Americana Black Tie and DecoArt Titanium White and brushed on two coats. 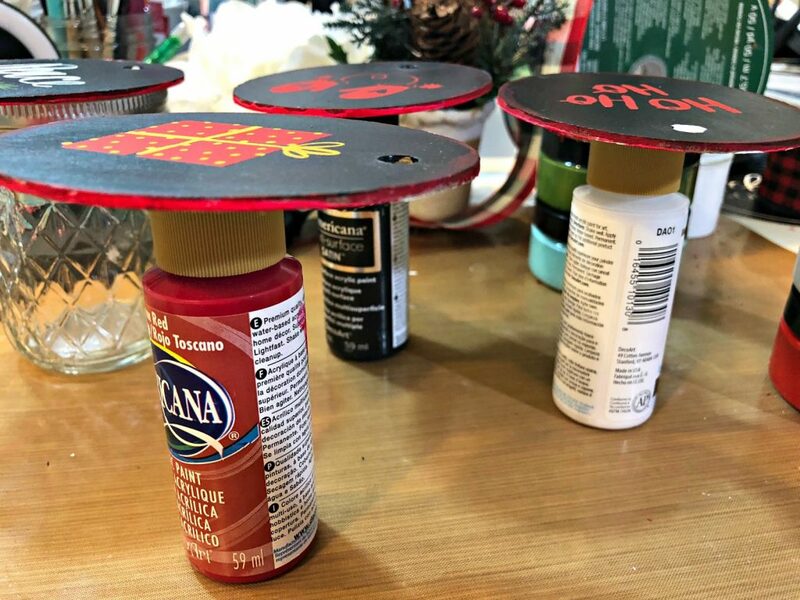 Once the paint was dry it was time to decorate the ornaments. 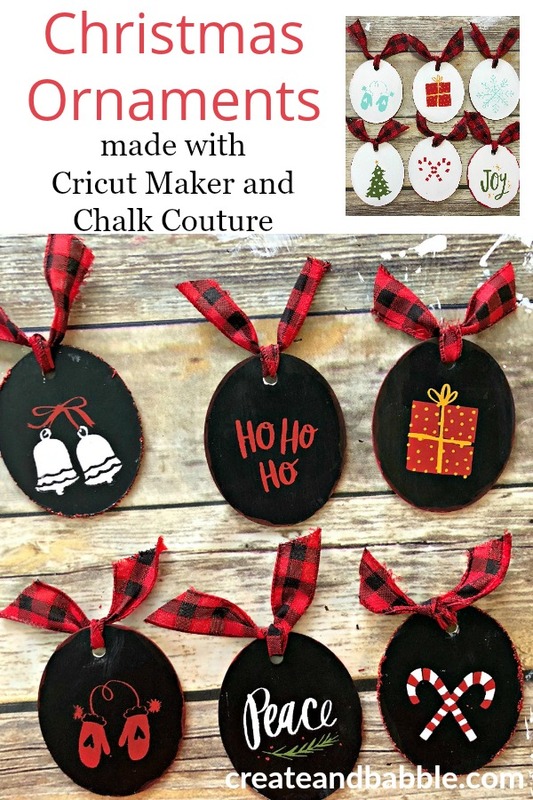 I chose to use Chalk Couture Mini Holiday Icons transfer. 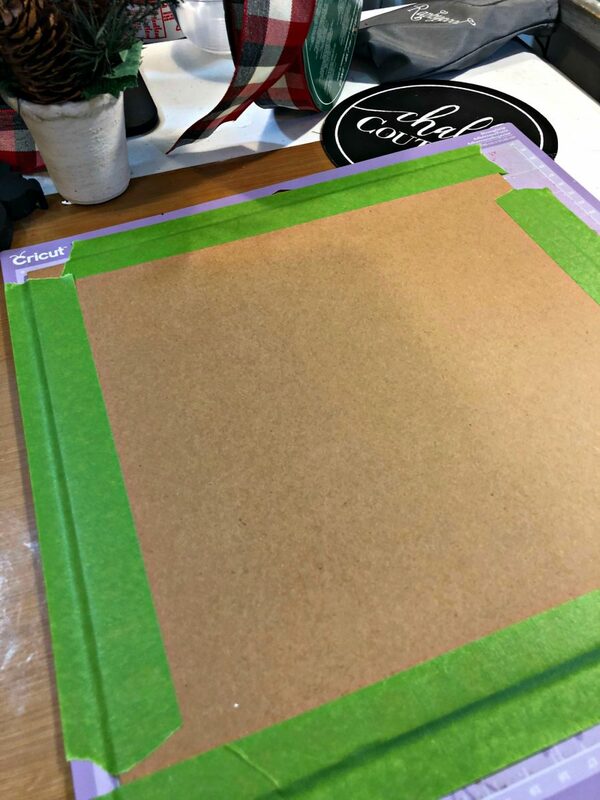 The Chalk Couture transfers are similar to stencils, only they are made out of silkscreen materials and are adhesive. They are also reusable. They are used with Chalkology Paste. 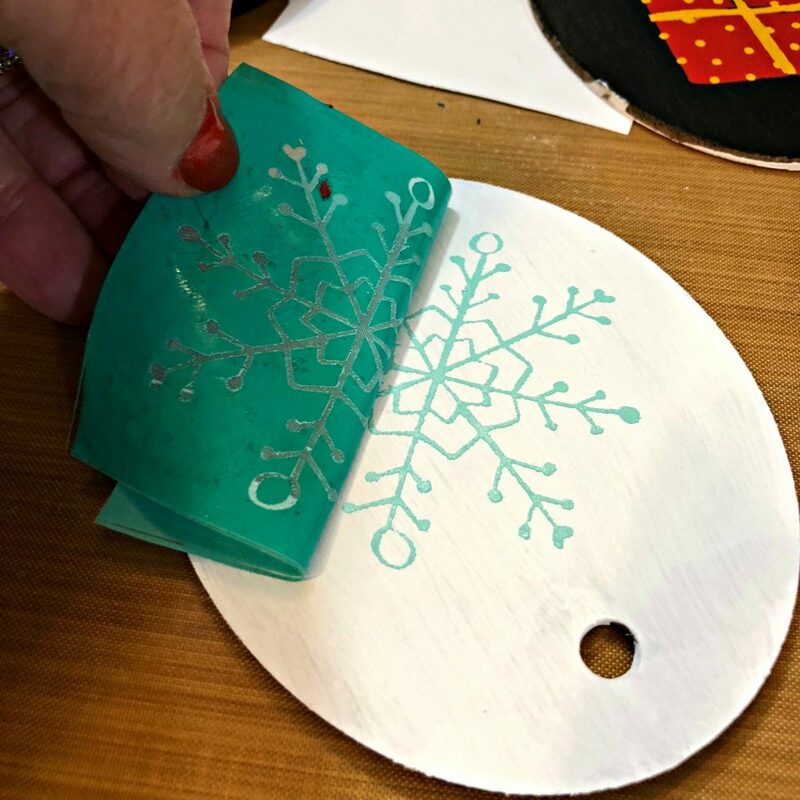 I simply laid down the transfer on the surface of the ornament and then spread a thin layer of the Chalkology Paste over the silkscreen area with a sqeegee. I sqeegeed off any excess paste and scraped it back into the jar. 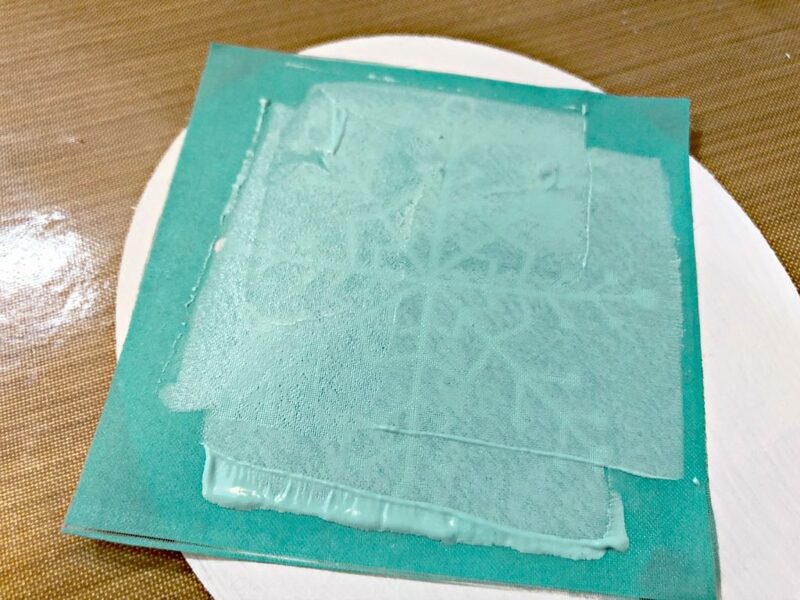 Then I removed the transfer revealing the design underneath. The Chalkology Paste dries hard but is not permanent unless sealed. I repeated this process on both sides of the remaining ornaments. When the ornaments were dry it was time to deal with the edges of the ornaments. I tried applying red glitter first but liked how the red paint looked better. They are all beautiful, but the black ones are my favorite. I like the variety of designs you used. 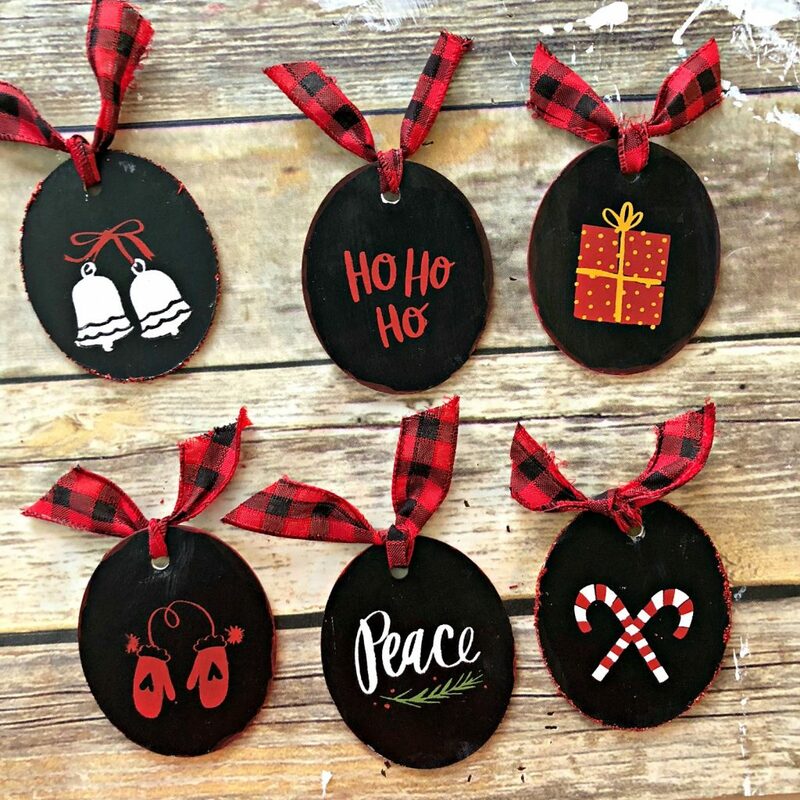 Chipboard is so awesome and I plan on making some ornaments too this year! I definitely need a cricut. I did order a very small chalk couture kit. 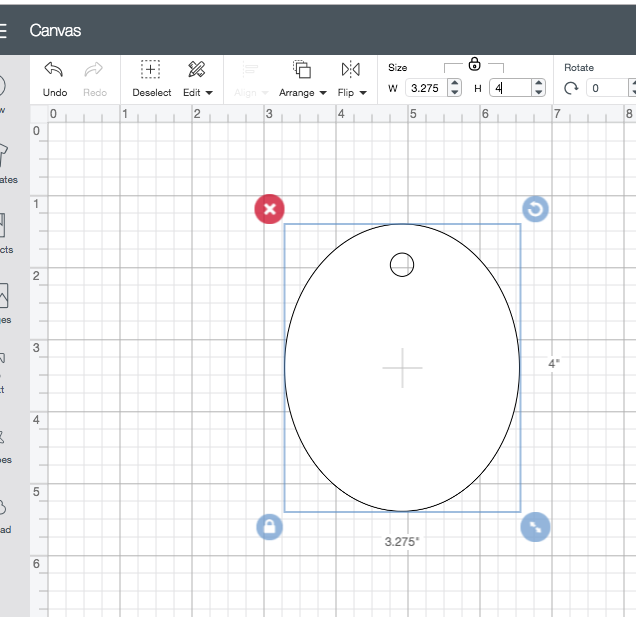 Your tutorial really explained the process well.